The loss of Scout and Catacombs left a hole in the downtown dining landscape. If anything, 2013 felt like a year of changes in the Inland Northwest's food scene. As usual, some much beloved restaurants left us, while others rushed to open — sometimes in the same very building. New cuisine came to the region, evidence of diners' increasingly sophisticated palates and a boom in restaurateurs willing to take a risk. We thought a lot about what we ate, and even went to the polls to decide if perhaps we should be thinking even more. In both Spokane and North Idaho, there was a wave of new restaurants, from food trucks to high-end, white-tablecloth eateries. Here are a few things we'll remember from this year. Dawn of the Donut was one of the most talked about new eateries of 2013. The Inlander's food writers thought a lot about doughnuts this year, especially during a week in May when that was essentially all we ate. That's not hyperbole. We actually ate donuts five weekdays in a row, in something we jokingly called the Chubby McPudge Memorial Doughnut Jamboree. We got acquainted with places like Donut Parade and Mike's Old Fashioned Doughnuts while also learning, thanks to our loyal, vocal readers, that people take their doughnuts pretty damn seriously around here. That notion was further enforced in August when hordes of breakfast pastry fans lined up around the block to get a taste of Dawn of the Donut, a zombie-themed doughnut shop on Division. The donuts proved creative — and a little intense. "We have a donut that looks like brains, we have a donut that looks like intestines. We embrace the creativity in the kitchen, and it certainly shows," manager Jayy De Boer told us shortly after the shop — still very much popular — opened. This summer saw one of the more shocking moments in recent memory in the Spokane restaurant industry. Scout, a Southern-themed restaurant and bar, and Catacombs Pub, both tenants of the Montvale Hotel building on the west side of downtown Spokane, abruptly closed in early June. Building owner Rob Brewster had filed for bankruptcy earlier in the year, leading to the demise of two restaurants and essentially taking out half a block of the downtown culinary scene. Inlander contributor Jo Miller dug into the circumstances surrounding the dual closures and found that the financial security of the two businesses had long been shaky. The bankruptcy was just the final blow. As of today, the two restaurants remain empty and a key block of downtown remains dark. It wasn't all bad news for restaurants downtown, especially on the other side of the grid. The intersection of Division and Main got a makeover when Ugly Bettie's closed; in its place opened Borracho Tacos & Tequileria. Right around the same time, directly across the street, The Blind Buck came into existence. The two openings added even more credibility to an area of downtown that's continuing to flourish, thanks to a bevy of successful restaurants, shops and entertainment options within just a couple of blocks. • EJ's Garden Bistro, the bar and restaurant operating out of a historic home in Browne's Addition, made a promising debut near the end of 2012; by this fall, the fledgling business was closed. • A fire (an apparent arson) shuttered Geno's, the Gonzaga neighborhood mainstay. It reopened this fall under the ownership of the group that owns and operates the family of Elk restaurants. • Across the street, what was once The Bulldog opened this winter as Chairs Public House, a combination coffee shop/beer bar. 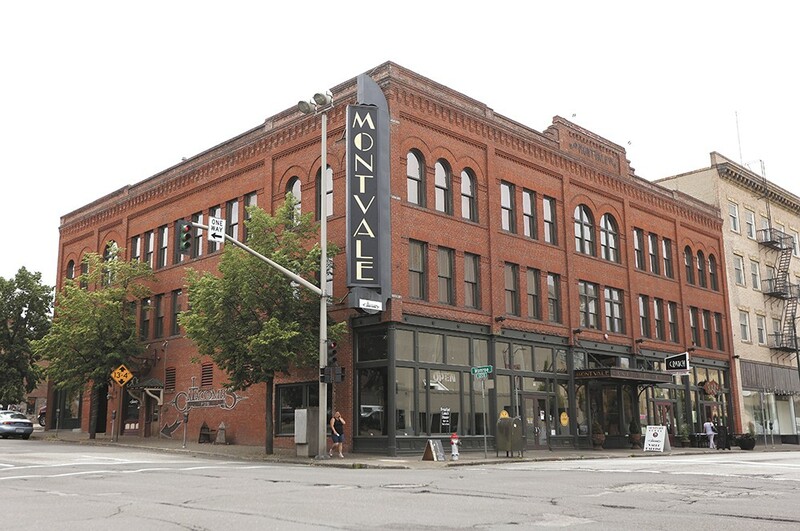 • The MarQuee Lounge, a downtown Spokane dance spot, closed down over the summer, but its owners opened a craft cocktail bar just a few blocks away called The Volstead Act. • Also downtown, The Blue Spark ended its 13-year run as a popular bar and dance spot, with owners citing problems with homeless people hanging around the nearby (and still vacant) Ridpath Hotel. On a promising note, we dug up an unlikely gem in Hillyard in the fall when we reviewed Donny's Place, a quirky yet tasty fine-dining establishment run by a father-and-son duo. It was a good year for food on wheels. We saw several new food trucks arrive on the scene, including Bistro Box and Couple of Chefs Catering, both of which challenged our perceptions of street food by offering high-end creations on Spokane sidewalks. The city of Spokane also worked with food carts to come up with more manageable regulations. The year was capped by the first-ever food truck rally in early December, a promising sign of things to come. 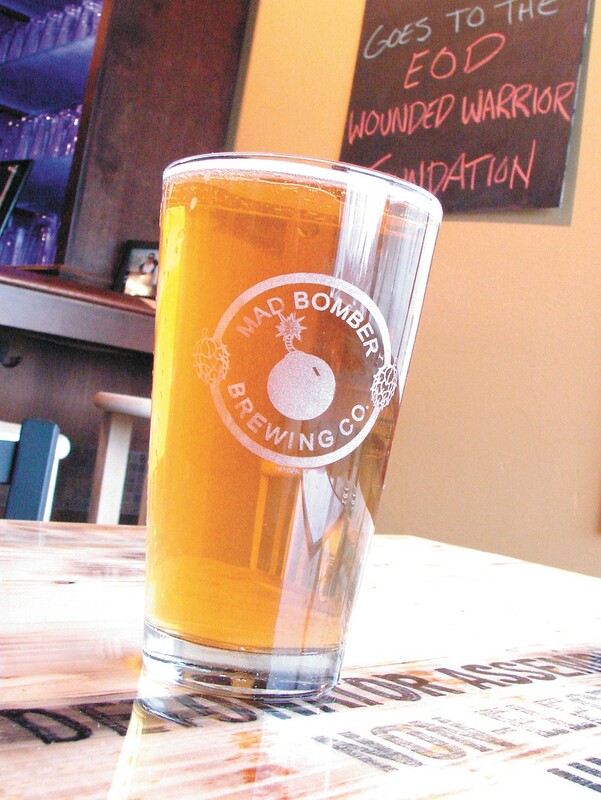 Mad Bomber Brewing Co. gave North Idaho another craft beer option. The Inland Northwest's libation industry built on the momentum it created last year, with more breweries and other drink-centric businesses taking flight. In the Spokane Valley, Hopped Up Brewery opened on East Sprague with a tasting room that was more than a decade in the making. River City Brewing also opened a tasting room downtown, while Hayden got another place to sip local suds with the arrival of Mad Bomber Brewing Company, owned and operated by a group of combat veterans. In Airway Heights, the brewery formerly known as Golden Hills relaunched as Orlison Brewing Company, with a sleek new logo and marketing campaign that culminated this fall with the sale of its craft lagers in cans. Waddell's, a longtime favorite beer bar on the South Hill, also got into the brewing game in 2013's waning days, opening a brewery and taproom in the Five Mile neighborhood at the north end of the city. But it wasn't all beer this year. We saw a boom in local hard cider production, a trend that was also taking off all over the West Coast. In Spokane alone, two cideries opened — Liberty Ciderworks and Twilight Cider Works.